BRYAN EATON/Staff photo. 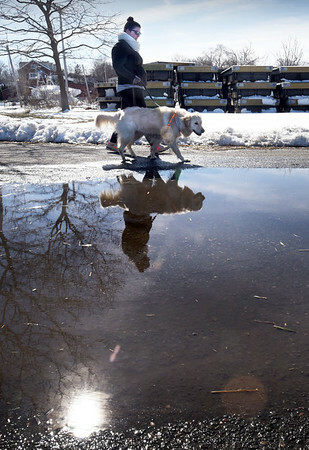 Thea Gilbert of Merrimac with Molly walk by puddles of melting snow at Cashman Park in Newburyport on Monday afternoon. The temperature got just above 50 degrees and it will again Tuesday before dropping on Wednesday.